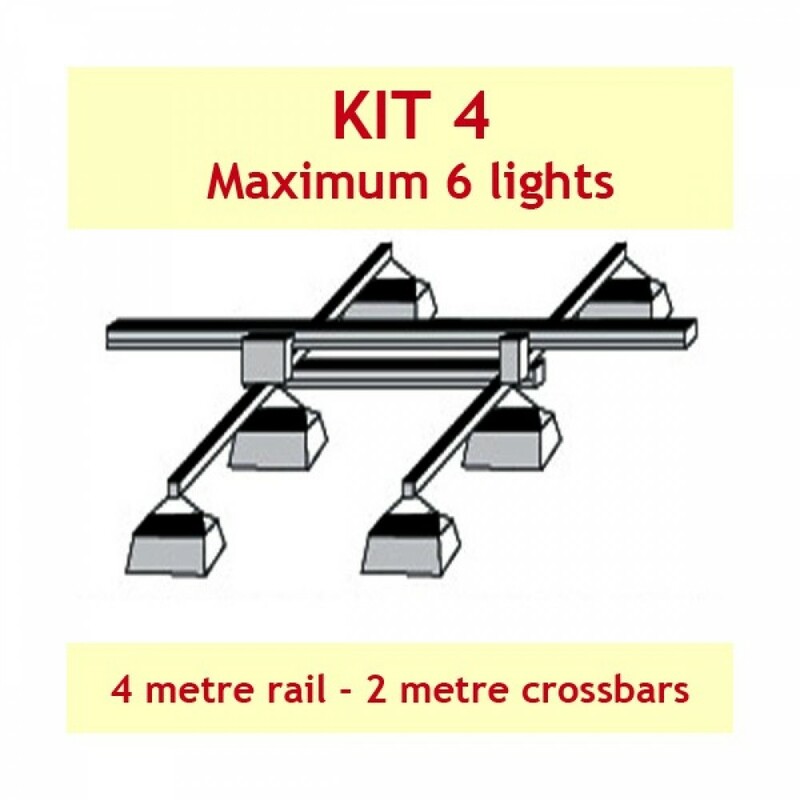 Suitable for up to 6 lights on 2 crossbars and 4 metre rail. 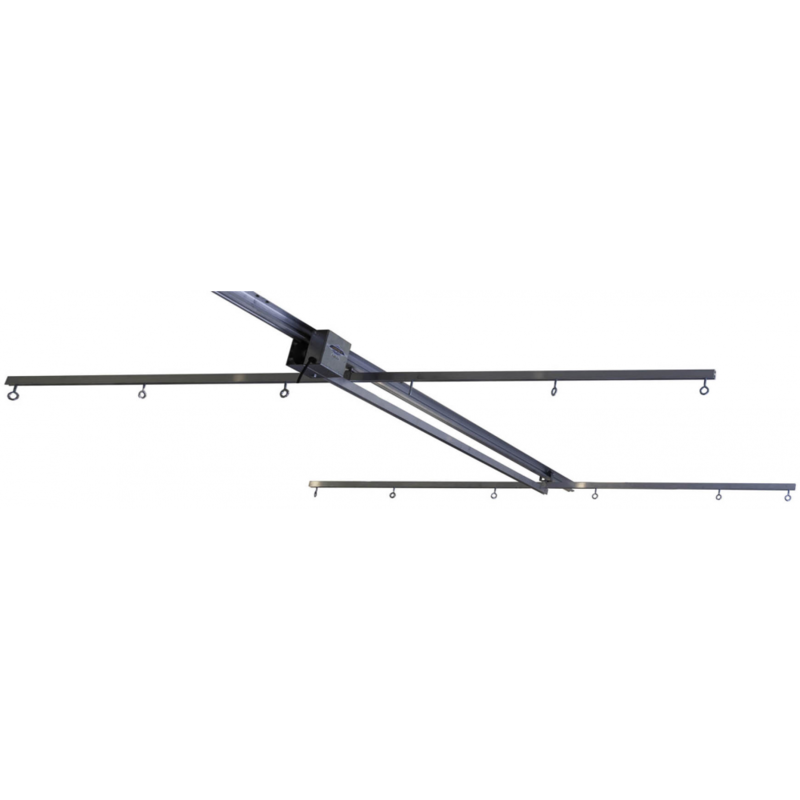 2 x 2 metre Adjustabar crossbars each with 6 eye bolts for light hanging. Globes will be at 90 degrees to motor rail.